Introducing...ABC See, Hear, Do Enrichment Pages! 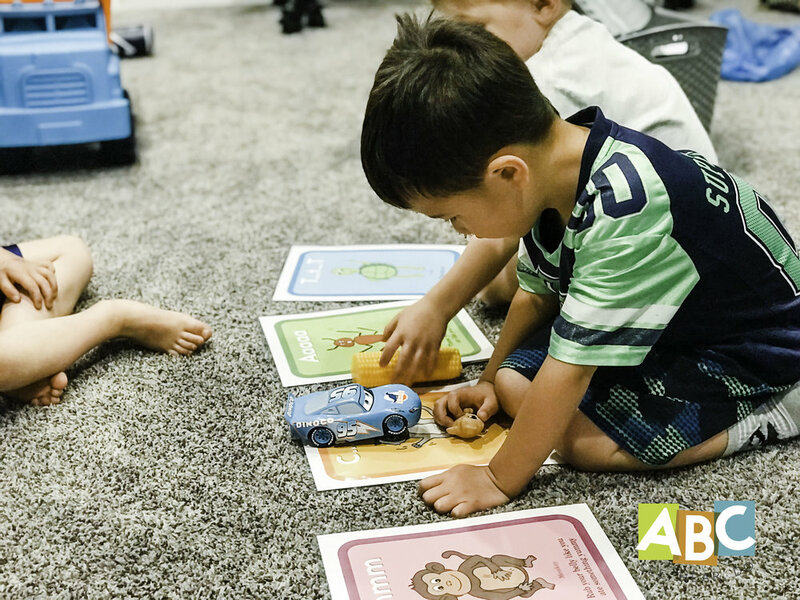 ABC See, Hear, Do Enrichment Pages are now available in our printables store! I’m super excited about these – here’s why! Each enrichment page is dedicated to one letter of the alphabet. And they’re color-coordinated! The backgrounds of each page are clustered in the same letter groupings as in ABC See, Hear, Do: Learn to Read 55 Words, making it easy to sort the pages. Or if you’d prefer to keep them in alphabetical order, that’s fine, too! Speaking of sorting, I recommend storing the enrichment pages in a folder or binder with sheet protectors for each page. We all know what spills and little hands can do! Picture Book Suggestions: 7 fiction texts and 3 nonfiction texts related to the featured letter. We’ve looked long and hard to find books that are not only readily available at libraries and on Amazon, but are also of the highest quality around! Use these books to reinforce letter learning and build your own picture book library! Snack Ideas: general snack ideas for each letter, as well as a creative snack idea. Craft Ideas: simple and fun crafts that are easy on the budget and young crafters. Songs/Rhymes: two catchy songs/rhymes to reinforce letter learning! Beware: they may get stuck in your head. Games/Activities: two games/activities per letter to get your kids moving while they learn. Once you’ve downloaded your pages, the options are endless! Pick and choose which activities and what pace works best for you. Perhaps you’ll use multiple elements on the page for a Storytime or a preschool day. Maybe you’ll focus on one letter per week and do an activity every day. Do what works for you. The best thing about the enrichment pages is that they make planning a cinch! Yes, you could google and search Pinterest for hours on end to find similar ideas, but why? We’ve already got you covered! Go spend your time doing something fun! Check out the Enrichment Pages and let us know what you think! 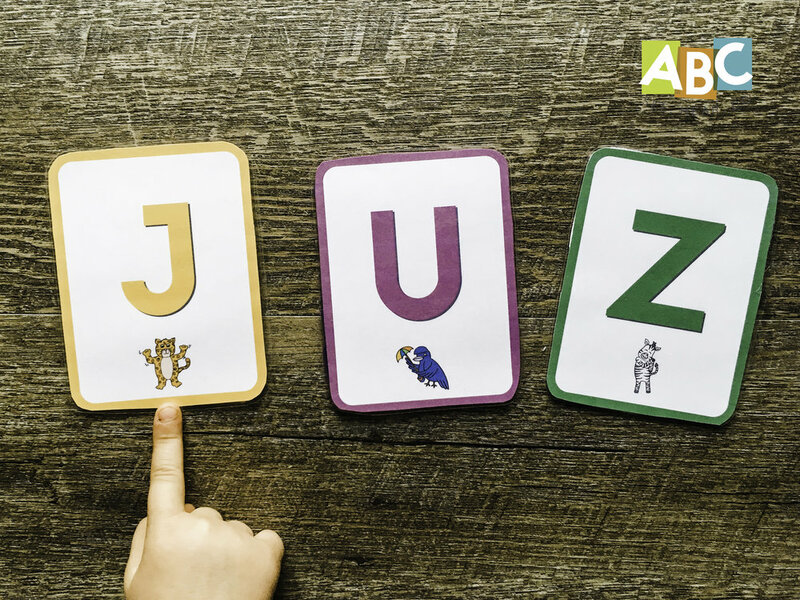 The ABC See, Hear, Do Reading Flashcards and ABC See, Hear, Do 2 Reading Flashcards are available in uppercase or lowercase format. Each includes a letter or letter blend with its corresponding animal beneath. These flashcards are a great addition to the books ABC See, Hear, Do: Learn to Read 55 Words and ABC See, Hear, Do 2: Blended Beginning Sounds. They can be used at home, at school, or at storytime! After laminating, hot glue a piece of felt to the back of each card. Form simple three or four letter words that your child can practice reading. 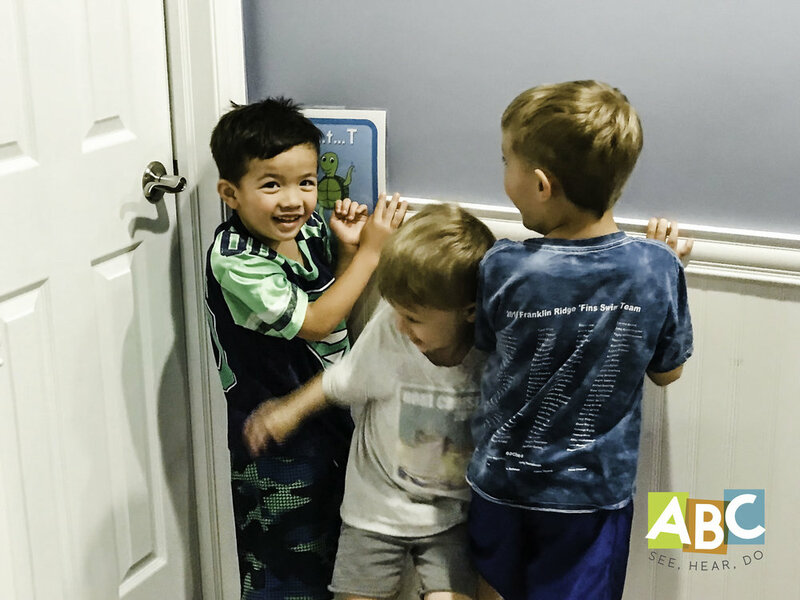 Try reading words that rhyme– for example, start with A-T on the flannel board, and then change the first letter (c, m, p, s, r, b, v) to help your child see patterns in words. Use the books ABC See, Hear, Do: Learn to Read 55 Words and ABC See, Hear, Do 2: Blended Beginning Sounds for more word ideas! Take turns sliding three random letters together and sounding out the resulting silly nonsense words! This helps children practice letter sounds and blending them together—plus, it’s silly! For even more silliness, make up definitions for your silly words. Find objects that correspond to words your child can read. Put each of these objects into a bag. Let your child pull one object out of the bag. Now she must find the letters she needs to spell it (you can hide letters around the house, or for a greater challenge, instruct her to find the letters on household objects). For example, if she pulls a bus out of the bag, she needs to find the letters B-U-S.
Open to the word pages in ABC See, Hear, Do: Learn to Read 55 Words or ABC See, Hear, Do 2: Blended Beginning Sounds. Then help your child match the flashcard letters to the words in the book. Create an obstacle course for your child. Tape flashcards in various places throughout the obstacle course. While your child completes the course, instruct him to collect each of the flashcards. When he finishes, challenge him to place the letters in order and read the word. Then do the obstacle course again, using different flashcards! 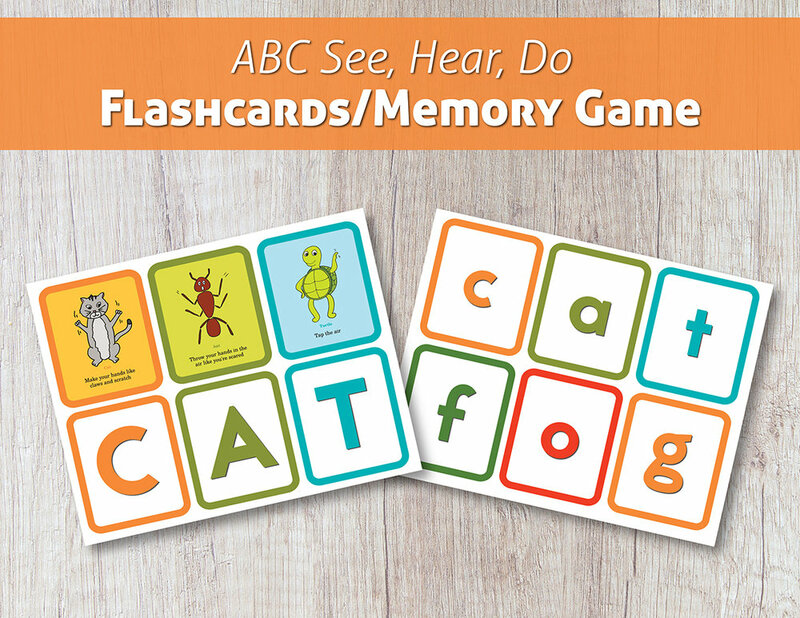 Do you have any other fun ideas for using the ABC See, Hear, Do Reading Flashcards? We’d love to here them! Please comment below.